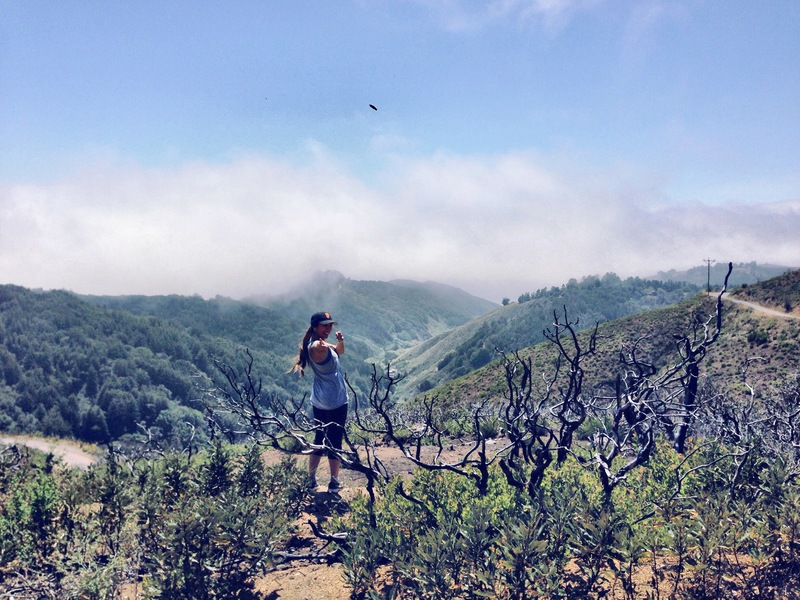 This past weekend, my best friend Fabi and I took a two-day trip to the central coast of California. 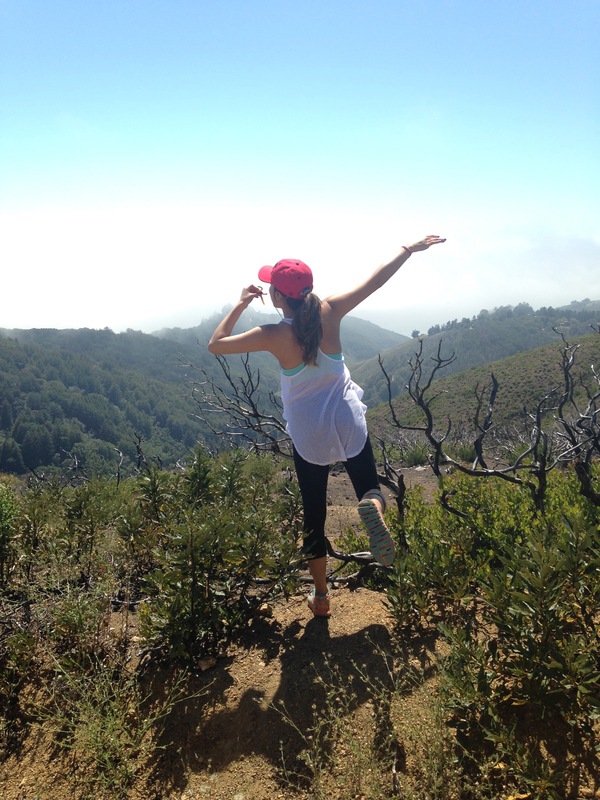 We’ve been bugging each other to go on a hike, so we took advantage of Big Sur’s awesome hiking trails. 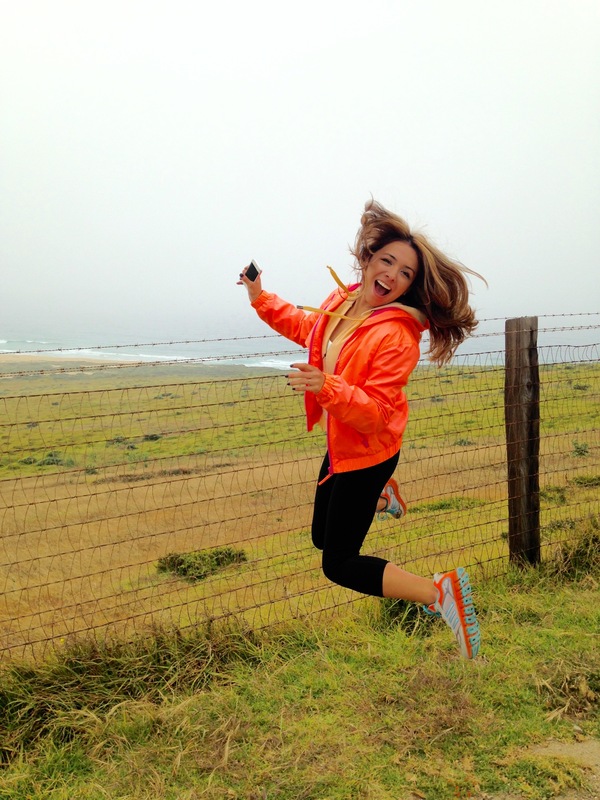 After a three-hour drive with multiple pit stops along Highway 1 that included jumping pics (see below,) and Taylor Swift sing-alongs, we made it to the green mountains of Big Sur. Having a ball on Highway 1! We wanted to challenge ourselves to a good hike that was a total of 5 miles round trip. This was going to be nothing compared to our hike last spring to Upper Yosemite Falls (talk about #LegDay.) We still had to deal with switchbacks and fallen trees covering the trails, but at least we didn’t encounter snakes or mountain lions! We passed a few people during our hike that ranged from young to old. Everyone said hello with a big smile on his or her face. One man even noticed my San Francisco Giants hat and said, “Go Giants.” Two young girls gladly took pictures of Fabi and I. A couple was hanging out at the top of the foothill talking about life and their adventures. Obviously we had picked the right trail. Gummy worms count as protein, right? I noticed a common trait between all these people: they were enjoying life at that exact moment. They could’ve gone through hell the day before or hated their job, but on this day, they were all happy to be out in nature. The same was true for our Yosemite hike. A man was jogging up the mountain and stopped to say hi to us and talk about how beautiful the day was. Mind you, he was running up the rocks of stairs at 5,000 ft. elevation! The amount of distractions we experience on a daily basis is the cause of not fully enjoying the moment. Our noses are buried in our phones. We’re told to buy the latest and greatest product from thousands of advertisers everyday. No wonder it’s hard to appreciate life’s simplicities. Let me know how it works out. I want to hear all about it!